$12.00 per dog per 30 minutes at our Williston Road store. Earn 4x PFW Paw Points on every Pet Wash Express! Call during business hours to schedule an appointment: (802)862-5514 or stop in to try for walk-in availability. PET WASH Express is a self-service pet wash, designed for bathing your pet without the hassle of trying to do it at home, or the expense of paying a groomer. Our state-of-the-art wash room and elevated tubs make bathing your pet easy! 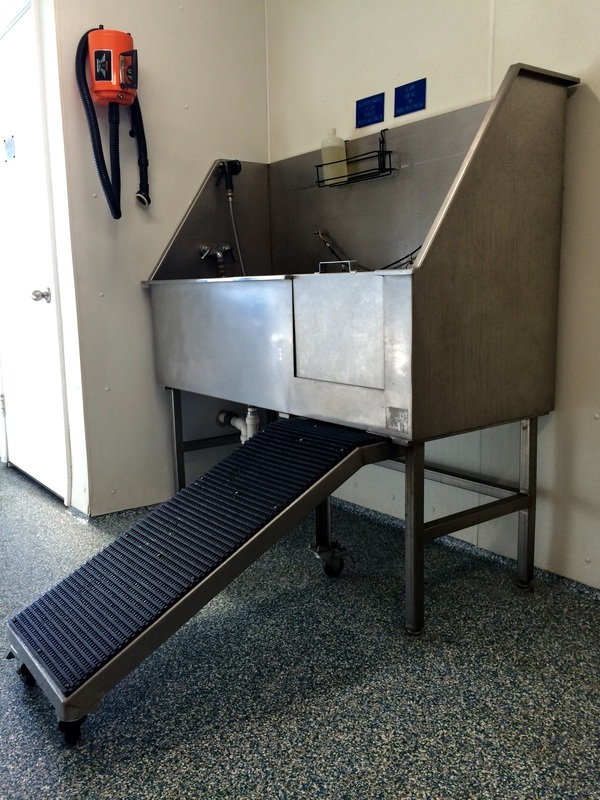 Each tub also has a ramp to allow your pet to walk into the tub without being lifted. Everything you need to wash and dry your pet is available to use, and when you are done, we will come in and clean up the mess! and best of all... WE CLEAN UP THE MESS! Special products and shampoos for flea, tick and skunk treatments may be used in the wash room but are not included in the price. Save 20% on these items when you purchase them for a pet wash.